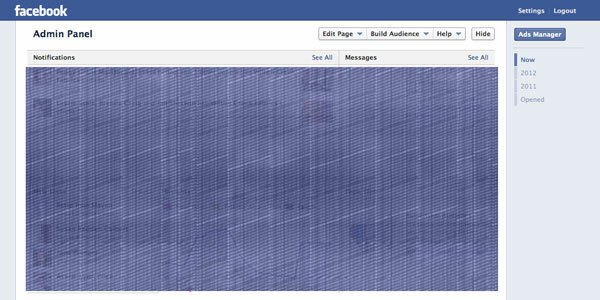 This is a normal Facebook Pages; For Fans and followers of business. I am looking to create a business page for my crafting projects. I want to sell them and gain followers using Facebook. I’m confused. Do I create a Facebook Personal Page and then A Facebook Business Page? Do I create a Facebook Business Page only because I am worried about my personal privacy? 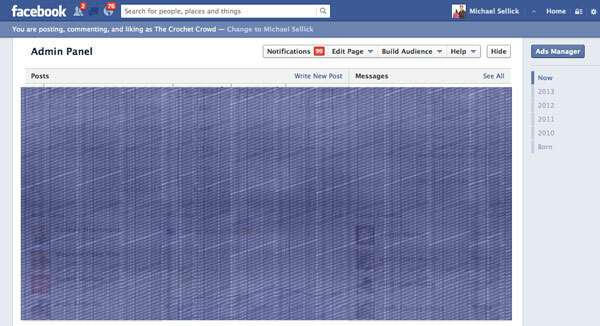 Though it’s not clear online, there are fundamental differences between a regular Facebook Fan Page like The Crochet Crowd verses a Business Only Page on Facebook. It is known that when a company would like to have a business page, they prefer not to have it linked with a person for privacy protection. In some cases, the owner wishes not to be contacted via Facebook or have their personal information shared with anyone. They prefer to keep their personal Facebook account a secret. While this makes sense, the type of account you get from Facebook is different between the two. One of the difference between a regular page and a business is the top area. When you get a Business Only Page on Facebook there are dramatic differences. If you scroll up, look at the version above and look to the left here. What is the difference? The search bar is missing. You cannot search anything on Facebook. Fans can comment but they cannot share your posts on their personal pages to give you a reference. The criteria in how a regular page works to a business only page is so different, you feel like you are bottle necked and at an unfair advantage to your competitors. To some users of Facebook that haven’t used Facebook before but realize it’s a way of connecting with customers, they have no idea there is a difference and typically sign up for the wrong account. The downfall to this is that many people have went the Business Only route have realized they have the wrong account. They cannot participate on Facebook like everyone else. This is a classic what came first of the Chicken or the Egg story. You cannot reverse time or suddenly change this account to a normal one. What is done… is done! For some businesses who have gained 100’s – 1000’s of followers that realize they have the wrong account, they are forced to start another account and restart all over from scratch. All that effort to build customers and loyal followers has been wasted. Soon as you switch accounts, you will loose many people and have to work hard to gaining what you have lost back. It’s a true shame but an everyday occurrence on Facebook. To have a normal operational business oriented Facebook page, it has to be started through a personal account first. Create a personal account or use your existing account and then click Create A Page to get started making your own. With this, your business account will be linked to your personal profile. So what happens when it’s linked? When you are on your business page, your comments and postings will appear as your company name. On your personal page, your comments and postings will be your normal name. Facebook knows the difference on which platform you are using. You can opt to use Facebook as your own name or your business name. You have a choice. Facebook doesn’t cross mix the two so you can maintain a professional page and personal page at the same time. The only way it cross mixes your information is when you post a link or comment to your personal page. So the argument with some people is that they are adamant about their personal privacy but really want a business page. The answer is very simple. Open up a personal page but don’t use it. No one is forcing you to do status updates or post pictures of your kids or anything. What you post on your own pages is up to you. You can still maintain a business page without any issues at all. This way, you can have a business page, enjoy the benefits of building and maintaining your customers but enjoy your personal privacy. Also be aware, your friends might love what you are doing and take it upon themselves to tag your professional photos which is linked to your personal page. You need to establish boundaries and/or set your parameters on your account not to allow you to be tagged without your permission. I encourage you to go through your privacy settings. For myself, I have many privacy settings set up so I am not emailed with every possible event that can happen on Facebook. Getting 3,000 updates within a few hours of people just liking a photo is redundant. Be selective and you will be happy. Facebook has done a phenomenal job of trying to keep your personal lives separate. They have strengthened privacy issues and given the users more options. Your privacy is up to you to maintain. If you don’t want anyone to know what you are up to, then don’t share it on Facebook. It’s pretty simple. In my next edition of Social Media Tips, I am going to discuss Social Media Spamming on Facebook, Communities and YouTube. There’s a line in the sand. This entry was posted in Social Media Tips and tagged Business, Facebook, Facebook So, Mikey, Privacy, Social Media Tips, The Crochet Crowd, YouTube. Bookmark the permalink. 12 reasons to have a facebook business page rather than creating one from your personal page. I am really thankful to the owner of this web page who has shared this great article at at this place. Elizabeth – I would say it’s unacceptable personally. ‘If it’s not your page, don’t advertise on it’ – should be the basic rule in my opinion. But that’s just me, other’s may differ! I will be commenting on this issue in a future edition. What would you say about fellow crocheters advertising on the Crochet Crowd Facebook page? Is that acceptable or unacceptable? I’m just curious. I will be commenting on that in a future edition. Thank you for the info on this. Well presented.